This paper outlines a brief political and financial history of the Former Yugoslav Republic of Macedonia as well as the potential for micro-finance to address some of the developmental issues that exist. This paper uses professional studies on micro-finance as well as governmental reports and personal accounts to paint a whole picture of the situation as well as micro-finance's role. Micro-financing potential in FYR Macedonia. Barker, Michael Ross . Lethbridge Undergraduate Research Journal. Volume 4 Number 1. 2009. Macedonia is a small republic located in South Eastern Europe [SEE]. Formerly part of Yugoslavia, Macedonia officially declared independence November 1991. In 1993 Macedonia was admitted to United Nations membership as the Former Yugoslav Republic of Macedonia [FYR Macedonia]. Since that time FYR Macedonia has struggled to break away from its past history of oppression and economic and political stagnation that occurred under Communist rule (Microsoft Encarta Online Encyclopedia 2007, 2007). One of the biggest problems communistic regimes create is the top-down economic structure they impose. These structures generally relied on large industrial firms to produce the majority of output while ignoring small and medium enterprises (Danis & Shipilov, 2002). Unfortunately for FYR Macedonia the majority of economic activity took place in other Yugoslavian republics. At the time of independence FYR Macedonia was producing only 5% of the total output in Yugoslavia. This placement of industry also meant that FYR Macedonia's transportation and manufacturing infrastructure was largely deficient as there was no need to transport goods or materials in and out of FYR Macedonia. These deficiencies, when combined with the economic losses from no-longer being part of a larger economic entity, made Macedonia one of the least developed new-republics in SEE (CIA, 2008). Harold Livesay finds that, even in American businesses, entrepreneurship and innovation are vital in creating and maintaining firm success (Livesay, 1989). Wade Danis and Andrew Shipilov also confirm this conclusion in their study of comparative development in Hungary and Ukraine. These authors find that one of the major reasons that Hungary was able to develop more rapidly than Ukraine was because of Hungary's history of entrepreneurship. This entrepreneurship was emphasized during Hungary's transition from communism to capitalism and allowed a more successful change. The authors assert that, although there were differing factors each country, “entrepreneurship development must be the cornerstone of successful economic development in general” (Danis & Shipilov, 2002). This study aims to analyze the current situation facing entrepreneurs in FYR Macedonia and the financing methods currently available to them. This study also proposes to review the past and current states of FYR Macedonia's financial sector and micro-financing programs. As well, this paper will review the results from other microfinance studies to determine if they are applicable in analyzing the situation in FYR Macedonia. Along with professional articles, this study will also sample the perceptions and experiences of Macedonians currently engaged in business activities or studies. By referencing both published work and private perceptions this essay will be able to present a well rounded perspective of the situation in FYR Macedonia. In 2007 the economic situation in FYR Macedonia was mixed. The United States Embassy in Macedonia released a report covering the economic situation in FYR Macedonia as of first-quarter 2007. While overall the growth in this quarter was historically high, the number of employed persons decreased by 2%. Unemployment remains high in FYR Macedonia with an unemployment rate of 35.9% in 2006. 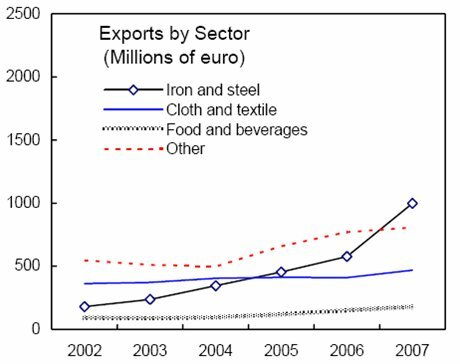 Also, while the industrial production of FYR Macedonia's firms grew by roughly 10% in first quarter 2007 the gray economy is estimated to produce up to 42% of GDP (US Embassy of Macedonia, 2007). 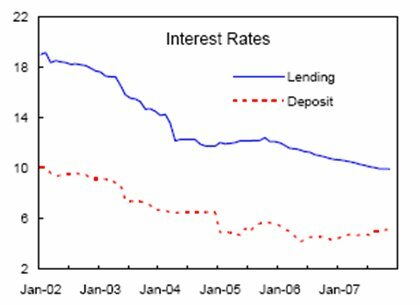 In the monetary sector there was a decline in bank lending interest rates throughout 2006 and 2007. Loan interest rates remain relatively high, however, at roughly 10.5% as of April 2007. Although unemployment is high a marked improvement can be seen over time. Figure 1 shows that change in employment has gone from being negative in the 2002-2005 time periods to becoming positive more recently. 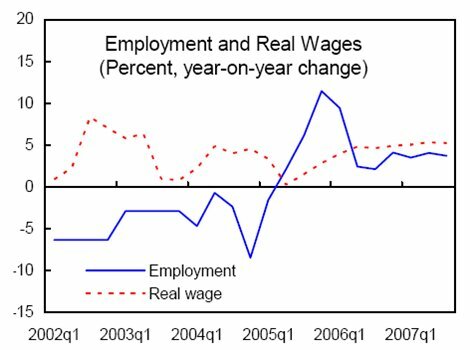 This increase in employment, along with the overall stability in real wages, bodes well for FYR Macedonia and its citizens. These changes correspond with the change in production, Figure 2, as well as the change in exports, Figure 3; both of which have been trending upwards and most likely have significant impact on the employment and wage levels in FYR Macedonia. Along with these statistics the report states that, overall, the economic and reform progress in FYR Macedonia has been improving. One of the major obstacles still remaining is the high unemployment rate, which has not decreased as quickly as some estimates projected (International Monetary Fund, 2008). In November of 2003 the International Monetary Fund [IMF] conducted an analysis of the stability of FYR Macedonia's financial systems. Some of the major findings that most impacted entrepreneurs include the fact that, in general, FYR Macedonia's banks pursued very conservative lending policies. Banks enacted these conservative lending policies of high risk applicants paired with a legal framework that did not provide simple measures of recourse in case of default. Also, the pegged currency system caused some increase in nominal interest rates which made borrowing more difficult for businesses. Figure 4 shows that in 2003 lending interest rates ranged from 14-18%. While these rates are understandable from a lending institution's perspective, these policies meant that securing credit from banks became extremely difficult for entrepreneurs while interest rates remained high. Along with these conservative policies, poor governance among many of FYR Macedonia's smaller banks led to volatility in the financial sectors. The weaknesses of smaller banks could be attributed to different factors such as complex ownership agreements, non-transparent operations, and corruption. These factors contribute to the wariness that many Macedonians exhibit when dealing with banks. Because of this wariness, cash payments, rather than checks or credit payments, are still commonly used to conduct transactions. Despite these issues, the IMF report stated that while the financial system faced serious challenges, with proper policies stability could be achieved. Some of these policies include a strengthening of the legal framework governing financial institutions, increasing transparency in bank operations and practices, and more rapid judicial and political resolution to banking issues (International Monetary Fund, 2003). A more recent IMF report, published in February of 2008, shows some of the changes that occurred in the Macedonian financial system during this five-year period. One of the major changes was the continued decrease in lending rates, down approximately 8% from 2002. This represents a considerable decline in rates for firms that depend on traditional financing methods for funding. In the monetary sector, the report concludes, indicators point towards stability with interest rates decreasing and credit growth increasing (International Monetary Fund, 2008). Thorsten Beck and his colleagues conducted a study using a regression model to determine different elements that lead to difficulties in securing financing. Some of their results may give greater insight into the situation in FYR Macedonia. Some of the main factors that influence ease in financing include: firm size, firm age, and foreign ownership. Beck reports that, by and large, smaller and younger firms struggle the most to secure financing. Beck also states that firms that are foreign owned are more likely to locate financing easily (Beck, Demirgüç-Kunt, Laeven, & Mak, 2004). These factors show that there is a distinct disadvantage for new, native entrepreneurial enterprises. For example, if a Macedonian wished to start a new business they would face considerably higher obstacles than an established foreign based firm. In this way many businesses may be discouraged from forming or expanding because of the difficulties which exist in the market. This leads to bottom-up development becoming difficult to achieve with much of the economic growth having to be fueled by multi-national corporations. To understand how all these factors directly affect Macedonian businesses and students this study will examine the views of several Macedonian students who are either studying to enter the business world or are currently business owners. Vencislav Cvetkovski is in his second year at the Faculty of Business Economics in Skopje, Macedonia studying business. He plans to begin his career in the financial industry as a banker after he completes his studies. He has noticed that one of the most difficult aspects of doing business in FYR Macedonia is the strict credit terms. Cvetkovski notes that besides requiring high interest rates some banks stipulate collateral double the value of the loan. In this way the bank protects itself from default but makes qualifying for credit difficult. Sasho Pandilov is another student at the Faculty of Business Economics and is also the co-owner of a firm employing 20 workers. Some of the factors that he mentions when discussing financial operations in FYR Macedonia include the lack of trust in financial institutions, high interest rates for loans, and non-competitive financial markets. Martin Stojanovic is also studying business operations and has had familial experience in the volatile banking system. He relates the story of his grandparents, who invested their savings, approximately $100,000, in a Macedonian bank. When the financial system panicked due to system breakdowns, immense inflation occurred, reaching up to 1700% (European Commission, 2007). These savings were reduced to roughly $100, a 99.9% decrease in value over the course of a few months. This period crushed many citizens' trust in the Macedonian financial system, which continues to be a problem today. He has also noticed that many loans are made not because of a business's strengths, but rather for political reasons. Despite all the problems mentioned, however, there were some notes of optimism. Vencislav ended his observations with the opinion that the situation in FYR Macedonia is improving rapidly and he looks forward to positive changes in the future. Pandilov feels that increased foreign involvement is a major factor in improving the situation for business in FYR Macedonia. By increasing the openness of FYR Macedonia's banking system there could be more competition between lending institutions which could lower interest rates. This view concurs with a memo from the office of the President of the International Bank for Reconstruction and Development; it states, without continued flows of international capital, FYR Macedonia's growth could be slowed (The World Bank, 2003). In all of their discussions, however, none of these students mentioned any type of micro-lending program. This may be because these programs are either not well established or under marketed. Many organizations have recently focused on microfinance as one of the most effective tools for combating underdevelopment. The United Nations Capital Development Fund [UNCDF] stated in 2005 that micro-financing is the foundation for the achievement of the United Nation's Millennium Development Goals. The UNCDF also referenced a paradigm shift in organizational thinking; shifting away from a program focused on poverty elimination, towards one of finance availability (United Nations Capital Development Fund, 2005). Other organizations that use micro-financing aspects include: the European Bank for Reconstruction and Development [EBRD], the United Nations Food and Agricultural Organizations, the Organization for Economic Cooperation and Development, and the International Labor Organization. One of the most commonly used models for microloans is the group-lending model . Under this system, loans are given to groups of individuals who then share a common debt which must be repaid. If one member defaults on their debt, the entire group is denied credit in the future. This structure is used as a substitute for collateral, which impoverished individuals are not able to provide. There have been several empirical studies conducted to examine the efficacy of these collective-credit loans and have generally found positive correlation. A Bank of Canada working paper finds that not only are default rates reduced with group-lending, but also the amount of the defaults is lower than individual defaults (Bank of Canda, 2003). Another study conducted by Alessandro Fedele observes that group-lending systems work because the borrowers self-select borrowing partners. That is, because the individual lender has more information about their prospective partner than does the lending institution (due to the small population groups where microfinance organizations operate), much of the danger from asymmetric information is reduced (Fedele, 2005). Although these studies have generally found microfinance to be a benefit to development efforts, some studies question the long-term effects of microfinance programs. Ingo Tschach shakes many assumptions of microfinance in his work, “The long term impact of microfinance on income, wages and the sectoral distribution of economic activity”. In this study Tschach finds that in the long-run, microfinance will have a tendency to increase production in the informal sector, which, while having a strong immediate impact on wages for those most impoverished may lead to long-term enterprises that focus on capital accumulation. This process may, over time, lead to the initial gains being reduced as micro-businesses become more capital intensive and thus employ less labor thereby decreasing employment. Tschach also states that microfinance enterprises don't necessarily benefit the enterprises which utilize the funds, but rather the customers of those businesses. He asserts that the gains from creating micro-businesses through micro-lending programs may lower the overall output as firms that do not qualify for the microloans have to compete against those which do. Tschach contends that the losses of those non-fund receiving business may outweigh the gains to the fund receiving businesses (Tschach, 2003). Despite Tschach's warnings, microfinance remains an important tool to development, although it does face many challenges. Some of these challenges include cultural sensitivities and determining the appropriateness of peer-based lending models. One study using evidence from Georgia concludes that while peer-based models function well for individuals lacking collateral, there also exists a market for individual-based micro-loans. Without loans available to individual borrowers a significant population is excluded from economic development (Vigenina & Kritikos, 2004). Another study in Bangladesh finds that current micro-financing operations neglect the lending needs of small farm operations. Because these farms are unable to participate in either micro-financing or commercial lending, they often secure loans from informal moneylenders, perpetuating the cycle of debt (Rashid, Sharma, & Zelle, 2002). Some other challenges that micro-lending institutions face include: political interference in lending policies, disruption of local power structures, social participation issues, and expectations of participants (Cerven & Ghazanfar, 1999). Although none of the students mentioned micro-financing programs, some currently operate in SEE. These programs are directed at populations most vulnerable to economic hardship and lack of opportunity. These populations generally have no access to credit, no real economic security, and are often marginalized populace such as ethnic minorities, women, and the impoverished. In SEE one of the largest at-risk groups is the Roma . This population is both an ethnic minority in many SEE states as well as an impoverished group. As such the Roma face the joint challenges of overcoming racial, political, and economic prejudice. Although determining the precise population figures of Roma is difficult, the World Bank estimates that between 8-12% of the Macedonian population is Roma (World Bank, 2008). 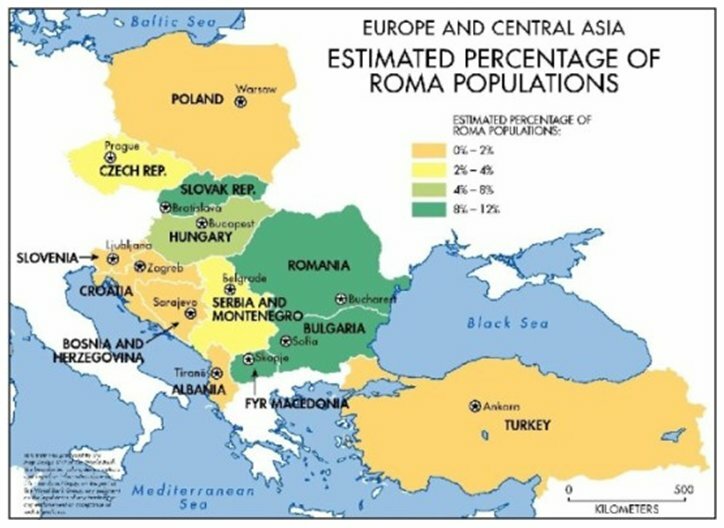 A map of Roma population distribution can be seen in Figure 5. In a study analyzing the determinants of welfare, Susanne Milcher finds that Roma populations often suffer from a higher degree of poverty and have less education and employment opportunities than even refugee populations in SEE (Milcher, 2006). Also, many of these Roma operate small farms which serve to substitute for food expenditure. As the study in Bangladesh illustrates, these farmers may be trapped between not having enough collateral to secure a conventional loan or having too much collateral and thus failing to qualify for a micro-loan. István Pogány forwards some possible reasons why the Roma's situation is so poor. One major factor is the widespread discrimination against Roma populations in SEE that bars them from any political or economic activities. Another cause is the relative lack of organization or identification of Roma populations in general which makes the smaller groups easier to isolate and exclude (Pogány, 2004). One study regarding micro-lending's impact on Roma asserts that Roma populations were especially affected negatively by the collapse of previous welfare states, as they were highly dependent on the social programs these states offered. To survive the Roma began to rely on informal labor and small-scale farming as a source of income. As discussed previously, however, without access to financing many of these ventures fail. Unfortunately, this study concludes that microfinance is not an adequate measure to increase development among the Roma. The study finds that without previous business or technical skills, much of the credit is either used improperly or does not have a strong impact. This implies that those populations without education or economic experience (e.g. Roma communities) may not be ideal participants in microfinance programs (Ivanov & Tursaliev, 2006, p. 48). This leads to a paradoxical situation where without education a microloan will not be effective, but one of the ways to increase education is to increase income, which a microloan may help do. This leads to the policy suggestion that microfinance be applied only to those populations where it will be the most effective, while traditional methods of development (e.g. transfer payments, subsidized health and education) be used for the most at-risk groups. The flaw in this proposal, though, is that the Roma are traditionally discriminated against in SEE and so are not able to access traditional support sources. Regardless of the flaws of microfinance programs they continue to be a lynchpin in developmental efforts. The European Bank for Reconstruction and Development recommended, as one of three methods to improve the Macedonian financial sector, increased funding for small enterprises through micro-lending programs (European Bank for Reconstruction and Development, 2006, p. 27). One report sponsored by the European Agency for Reconstruction [EAR] reports that out of 40,000 registered enterprises in FYR Macedonia, only 15,000 have access to some type of credit. This leaves approximately 63% of firms with no means of financing. The report also estimates that 180,000 households that participate in agricultural activities have no credit access nor do up to 100,000 other enterprises in the informal sector (Nanevski & Popovska, 2005, pp. 2-3). These figures show that demand for micro-credit is relatively high with up to 15% of the population lacking finance access. Additionally, another report published by EAR, gives a thorough overview of all aspects of SME advancement in FYR Macedonia. This report covers the funding programs from public sources, such as the Macedonian Bank for Development Promotion, as well as private sources, the Macedonian Enterprise Development Fund and the Catholic Relief Services Horizons Program. Each of these organizations releases and administrates the aid in different ways. For example the Horizons Program offers loans up to 2,500 ($3,904) while the Macedonian Bank for Development Promotion offers loans of up to 35,000 ($54,659). In addition each of these organizations operates under different systems (e.g. individual vs. joint-lending) and require different payback periods and offer different incentives (Pinto, Dimov, Stojanova, & Poell, 2007). FYR Macedonia faces some major developmental hurdles including: large unemployment, high interest rates, political and economic instability, and a large marginalized population of ethnic minorities. Although some positive aspects of growth have been seen over the past few years a good portion of FYR Macedonia's business and citizens still live in relative poverty. In spite of these difficulties several business students have reported being optimistic about the future in FYR Macedonia. 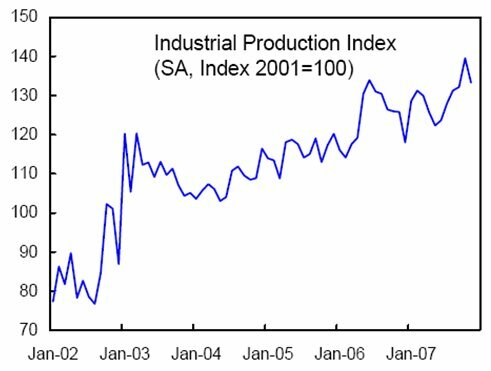 As well, some indicators such as overall production, increasing employment, and wage stability suggest growing standard of living. Microfinance as a tool is well-positioned to help further develop FYR Macedonia's economy. Although challenges and flaws exist in the various microfinance models, overall, the evidence suggests positive growth and development. With proper adaptations, microfinance could help those industries where it will prove most effective. As businesses grow so too could tax revenue which could be reinvested to help those populations such as the Roma most in need of support. As well, by providing an initial investment of education in these populations they could be ready to begin receiving microfinance themselves, further increasing development. In conclusion, although microfinance has vast potential it must also be accompanied by other developmental programs to fully achieve its promise. I would like to thank Dr. S.M. Ghazanfar for his inspiration and patience. Without his passionate teaching this paper may never have been written. I would also like to thank Professor Michele O'Neill for helping me make contact with the students referenced in this paper and for passing her interest in FYR Macedonia on to her students. I am currently a senior at the University of Idaho studying Business Economics. My planned graduation date is December 2008 after which I hope to pursue a career in international economic analysis. Bank of Canda. (2003). Do Peer Group Members Outperform Individual Borrowers? A Test of Peer Group Lending Using Canadian Micro-Credit Data. Ontario: Bank of Canda. Beck, T., Demirgüç-Kunt, A., Laeven, L., & Mak, V. (2004). The Determinants of Financing Obstacles. Washington DC: World Bank Policy Research Working Paper. Cerven, J., & Ghazanfar, S. (1999). Third World Microfinance: Challenges of Growth and Possibilities for Adaptation. Journal of Social, Political, and Economic Studies , 444-462. Danis, W. M., & Shipilov, A. V. (2002). A Comparison of Entrepreneurship Development in Two Post-Communist Countries: The Cases of Hungary and Ukraine. Journal of Developmental Entrepreneurship , 67-94. European Bank for Reconstruction and Development. (2006). Strategy for the Former Yugoslav Republic of Macedonia. London: European Bank for Reconstruction and Development. Fedele, A. (2005). Joint Liability Lending in Microcredit Markets with Adverse Selection: a Survey. Milano: University of Milano-Bicocca Department of Statistics. International Monetary Fund. (2003). Former Yugoslav Republic of Macedonia: Financial System Stability Assessment, including Reports on the Observance of Standards and Codes on the following topics: Banking Supervision, Payment Systems, Monetary and Financial Policy Transparency, and Anti-Mo. Washington D.C.: International Monetary Fund. International Monetary Fund. (2008). Former Yugoslav Republic of Macedonia: Third Review Under the Stand-By Arrangement and Request for Rephasing of Access. Washington D.C.: International Monetary Fund. Ivanov, A., & Tursaliev, S. (2006). Microlending to the Roma in Central and Southeastern Europe: Mixed Results, New Approaches. Comparative Economic Studies , 36-49. Livesay, H. C. (1989). Entrepreneurial Dominance in Businesses Large and Small, Past and Present. The Business History Review , 1-21. Milcher, S. (2006). Poverty and the Determinants of Welfare for Roma and Other Vulnerable Groups in Southeastern Europe. Comparative Economic Studies , 20-35. Nanevski, B., & Popovska, K. (2005). Summary of the policy paper: Changes required to improve the effectiveness of existing micro-credit lines in the Republic of Macedonia. Skopje: European Agency for Reconstruction. Pinto, R., Dimov, Z., Stojanova, V., & Poell, H. (2007). Small Enterprise Development in the Republic of Macedonia. Hamburg: European Agency for Reconstruction. Pogány, I. (2004). Legal, Social and Economic Challenges Facing the Roma of Central and Eastern Europe. Warwick: University of Warwick School of Law. Rashid, S., Sharma, M., & Zelle, M. (2002). Micro-Lending for Small Farmers in Bangladesh: Does it affect farm households' land allocation decision? Washington D.C.: International Food Policy Research Institute. The World Bank. (2003). Memorandum of the President of the International Bank for Reconstruction and Development to the Executive Directors on a Country Assistance Strategy for the FYR of Macedonia. Washington DC: The World Bank. Tschach, I. E. (2003). The long term impact of microfinance on income, wages and the sectoral distribution of economic activity. Frankfurt: Johann Wolfgang Goethe-University. United Nations Capital Development Fund. (2005). Microfinance and the Millennium Development Goals. Washington DC: United Nations Capital Development Fund. US Embassy of Macedonia. (2007). Macedonian Economy at a Glance . Skopje: US Department of State: US Embassy of Macedonia. Vigenina, D., & Kritikos, A. S. (2004). The individual micro-lending contract: is it a better design than joint-liability? Evidence from Georgia. Economic Systems , 155-176.